There’s news this week of an “impossible” triple star system recently discovered by astronomers. One that “defies known physics.” Needless to say, there’s no need to abandon physics quite yet. It all comes from a new paper being published in MNRAS titled “KIC 2856960: the impossible triple star.” Despite the overly-hyped title, it is interesting work. It’s based upon data gathered from the Kepler satellite, which looked at the brightness of stars over time looking for exoplanets. Kepler finds exoplanets via the transit method, where the brightness of a star can be seen to dip when a planet passes in front of it. But the method can also be used to study multiple star systems if they happen to have the right alignment. Just as a planet can cause a star to dip in brightness when it passes in front, one star passing in front of another can have a similar effect. The team looked at the data from KIC 2856960, for which Kepler gathered data over 4 years. In the data we see a small dip in brightness about 4 times a day, and a larger dip every 204 days. From this, it looks like a close binary of smaller stars (with orbital periods of 0.26 days) orbiting a third star with a period of 204 days. So it is a fairly common triple star system. Not a big deal, move on to other data. But this team wanted to determine some of the characteristics of this system, such as their exact orbits and masses, so they looked at the data in more detail. Determining the details of a system can be tricky. There are all sorts of things that can add to noise in your data, such as starspots and other stellar activity. This is why exoplanets are divided into confirmed planets and candidate planets. Once you’ve eliminated the noise you can, you try to match the observed fluctuations to particular orbits, and then see if those orbits are stable. Sometimes the results can be deceiving. What the team found was that the more they looked at the data for KIC 2856960, the more confusing things got. 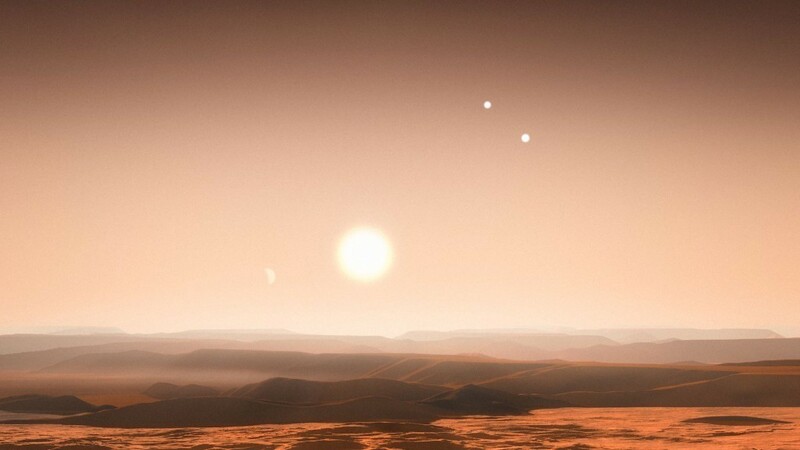 At first glance it looks like a triple star system, but when they tested candidate orbits, none of them seemed to fit. Several of them kind of fit, but there was always some unexplained fluctuation in the data. So the team tried other models, and found a 4-star system that basically worked, but it required the orbits one binary system to be in exact resonance with the other, which seems highly unlikely. In other words, the Kepler data is inconclusive. It could be a strange 4-star system, or it could be a triple-star system with something else buried in the data. We can’t be certain at this point. This does not make KIC 2856960 an “impossible” system. There’s no evidence that it is defying known physics, just that the data is odd and we don’t understand it. And that in itself makes it interesting. It is clear that this system is not a simple, boring triple system. It’s a mystery at the moment, but it’s a mystery that could be solved with more work and more data. And that makes it a mission possible.